London-based developer EcoHouse on Tuesday (Aug 19) provided documents to try to show it has official links with a federal housing programme in Brazil and a state-owned bank, but the Brazilian Embassy here questioned the authenticity and relevance of the papers. The documents, which EcoHouse chief operating officer Deen Bissessar sent to TODAY, included letters with what appeared to be letterheads of state-owned bank Caixa Economica Federal (CEF) and the state of Rio Grande do Norte, which oversees the Minha Casa, Minha Vida (MCMV) housing programme. Written in Portuguese and translated into English, the letters largely commended EcoHouse founder Anthony Armstrong Emery for having sound character and recognised his work with the MCMV. One letter, purportedly from CEF, said Mr Emery had been a client with an “excellent relationship” with the bank and had, “through the company under his administration, contributed to putting into practice the MCMV programme, conducting himself in a distinguished and professional manner”. Another one, which has the letterhead of the state of Rio Grande do Norte, said Mr Emery was of “irreproachable personal, social and professional conduct”. On Monday, Brazilian Ambassador to Singapore Luis Fernando de Andrade Serra called on EcoHouse to prove its links to the Brazilian government. After looking at the documents, Mr Serra said they do not conclusively show that the developer has any links with CEF or MCMV. “We cannot attest to the authenticity. But even if they are real, the information is not relevant and does not determine if EcoHouse is linked to the government,” he said. Pointing to the letter purportedly by CEF, he said that it does not represent an agreement between Mr Emery and the bank. “It shows that he has an account in the bank, but it doesn’t show the firm is a partner of the bank,” Mr Serra added. The ambassador also pointed out that the people who signed off on the letters do not have the authority to comment on whether EcoHouse has any link with CEF or the MCMV programme. For instance, the CEF letter was signed by an account manager. Last week, the Brazilian Embassy here issued a statement saying that the Brazilian government has no dealings with EcoHouse, which had touted itself as the only United Kingdom company picked by the Brazilian government to build homes under MCMV. In response, Mr Bissessar called the matter a “misunderstanding”, which led to Mr Serra calling on EcoHouse to furnish proof of its links to the Brazilian government. One disgruntled investor, Mr Brijesh Vora, 37, who came forward after reading TODAY’s reports, said he recently received notification that the project which he had ploughed money into last year will be delayed by about six months to a year, due to reasons such as slow and poor construction work. He added that he had invested in several units. Various media reports have put the number of Singapore investors in EcoHouse projects at between 800 and 1,500. Up to S$70 million had reportedly been put into three housing projects. Reports have been filed against EcoHouse with the police and the Commercial Affairs Department. Double oh oh... 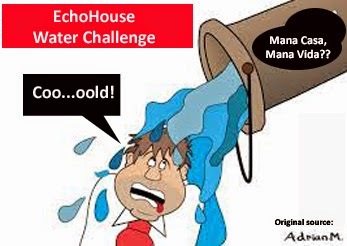 Seems like the money that Singaporean investors have put into EcoHouse is now 冻过水 (Cantonese idiom literally translated as "colder than water", which is used to describe a situation getting from bad to worse). 2 comments to ''EcoHouse: More refute from Brazilian government!" I believe this thread will will clear up the confusion of what Ecohouse is....its surprising not that not even the purported " property gurus" did any background check on Ecohouse and verifcation of its claims. Unfortunately, it ooks like the investors can kiss goodbye to their money. Even Ah Khaw say on channel 8 news not to invest blindly in Brazil housing. Die liao, Sgporean kenna con again.